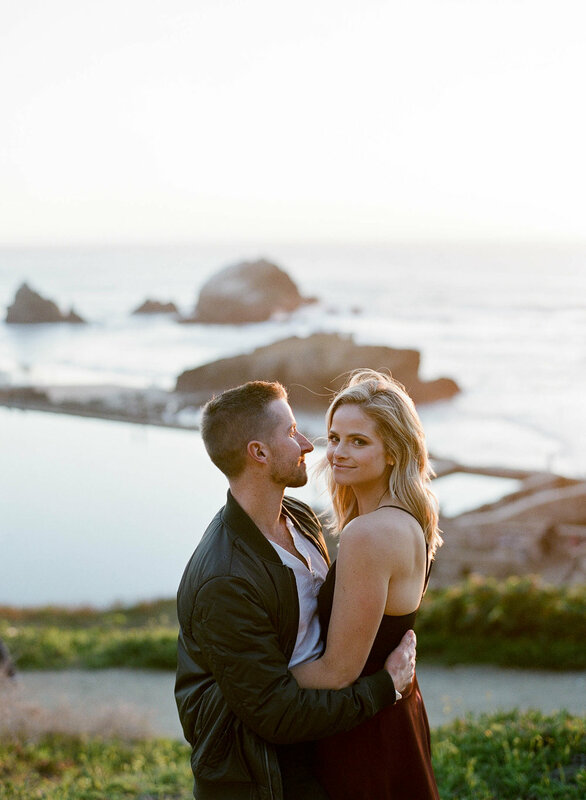 Daryl and Kelly decided on a San Francisco engagement session highlighting the rocky terrain and greenery at Lands End. While you can't really go wrong with Sutro Baths as your backdrop, something about this golden light and Kelly's crimson skirt was really entrancing. On top of it all, the two pulled out a ukulele for a quick jam sesh by the water!